2. We want to meet every single customer demand. 3. We’ll enhance product quality to meet higher quality standards. 4. Integrity and high-test level of customer satisfaction. 5. Attentive services to ensure customer confidence. 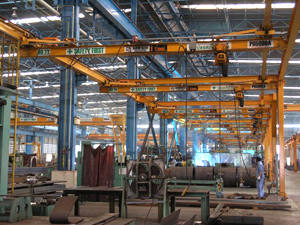 Manufacturing, Construction, Sales, Repair and Maintenance of Travel Cranes and Hoists.